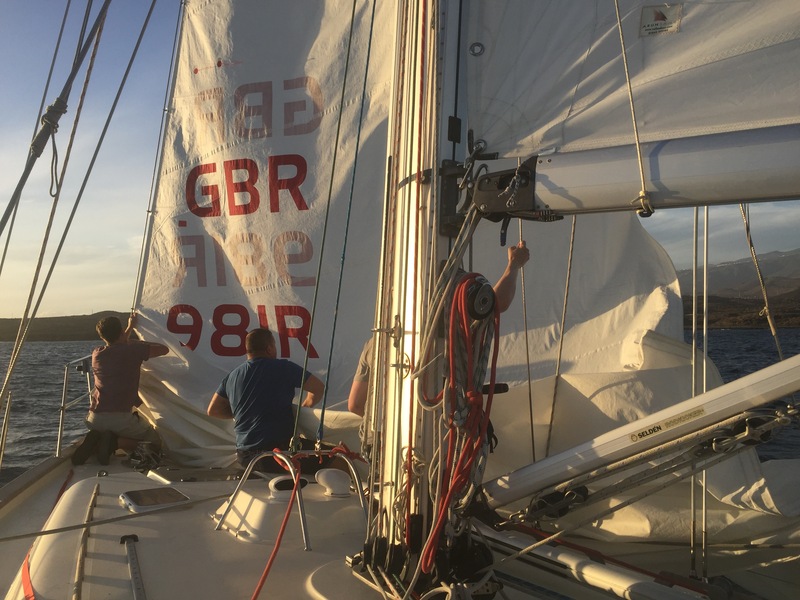 A day or so after having returned from our two week Annual Camp in Denmark a rather unexpected and exciting opportunity presented itself to me, sailing! Being a fairly sporty person I am always up for trying something new but this was something I had not even considered before. I quickly learnt that the Royal Artillery owns a yacht – St Barbara V, which is the flagship of the Royal Artillery Yacht Club (RAYC). I was informed that St Barbara V was currently undertaking an 11 month training expedition around the Canary Islands and the Mediterranean Sea named Ex MEDITERRANEAN UBIQUE (Ex MU). 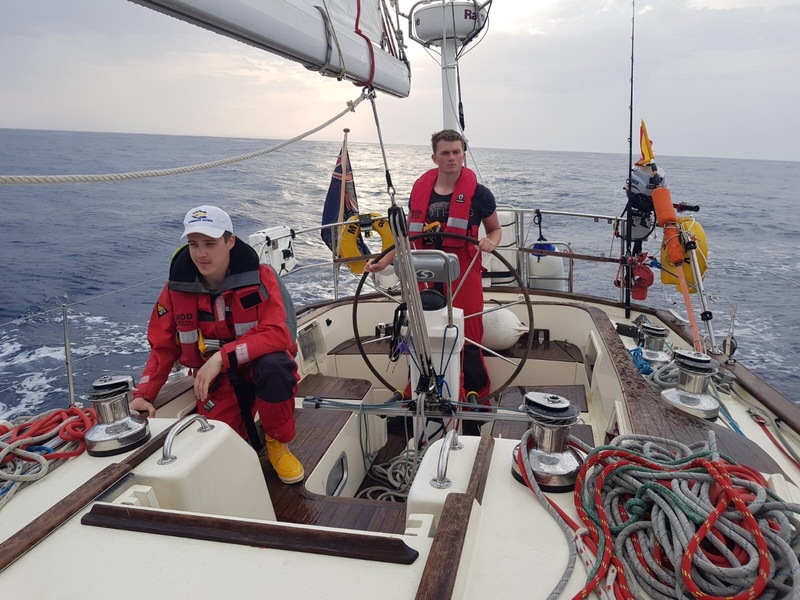 The aim of the expedition is to further enhance the reputation of the RAYC as one of the Army’s premier yacht clubs, contribute towards Gunner ethos and ‘esprit de corps’ and gain all the well documented benefits of offshore adventurous sail training for the individuals involved, including enhancing offshore sailing qualifications and experience. This involved Regular and Reserve regiments completing a two week leg with a crew of nine individuals before handing over St Barbara V to the next unit in line. 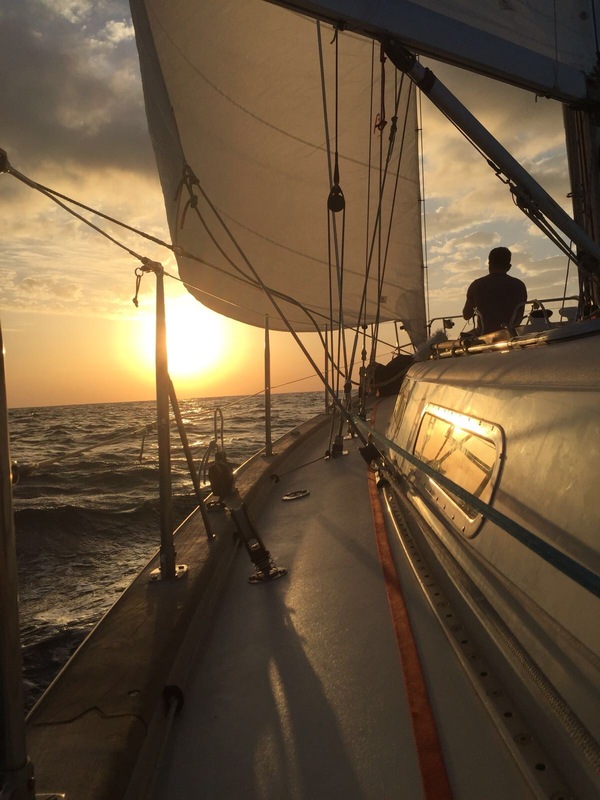 Having no experience of sailing it was deemed wise that I first undertake a week long Competent Crew course. This was conducted along the south coast in the Solent by Major Richard Grimwood of NRHQ RA, who would also be our Skipper for our leg of the exercise. 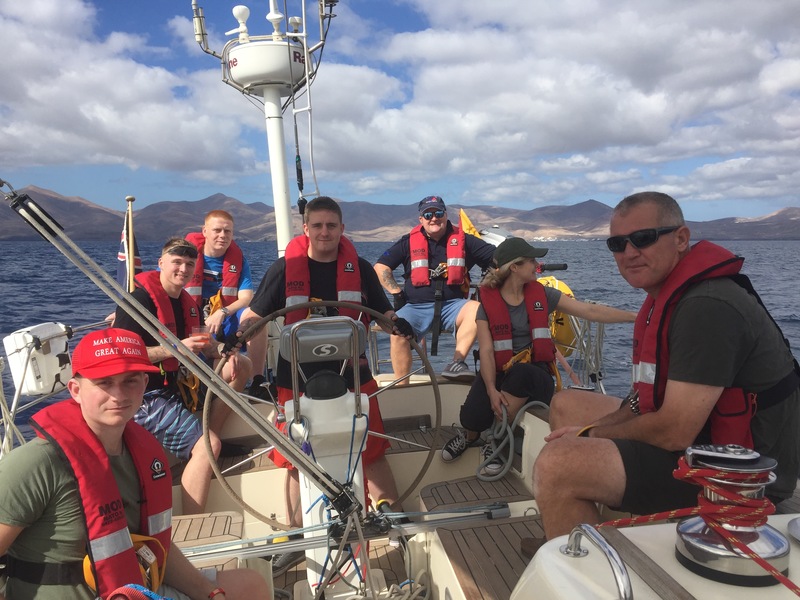 The course consisted of basic yacht handling, learning a number of useful knots and the fundamental principles of living aboard a boat at sea. Also present on this course was the more experienced Gnr Connor Murray and also Gnr Sam Thompson, who like me was brand new to the sport. Luckily the course went well and without any mishaps and we were left well prepared and confident in our abilities prior to our deployment to Lanzarote a week later. So, training complete, at 0600 hrs on the 15th November, the remaining six members of the 103 Regiment RA crew and I rendezvoused at Manchester Airport to catch our flight to Lanzarote. This allowed us to link up with the Skipper and our First Mate, Captain Graham Stephenson, who had flown out a day earlier in order to take over St Barbara V from the previous crew. A couple of hours later Captain Stephenson met us at the airport in the glorious sunshine which was a welcome sight, having just left the drab backdrop of a grey Manchester behind us. We took a short drive to Puerto Calero where St Barbara V and the skipper were awaiting us and immediately got stuck in. Supplies needed to be sought and duties needed to be divvied up before we could get some rest prior to the off. The following day after a good sleep we set sail. Splitting down into two watches, this allowed us to leapfrog shifts and ensured someone was at the helm 24/7. The day shifts were relatively relaxed but we were tested during the night when visibility was very limited having to navigate by lights. The voyage itself saw us visit Lanzarote, Fuerteventura, Gran Canaria, Tenerife and La Gomera. We were so lucky with the weather – the only time our oileys (waterproofs) were worn was for cooking. It wasn’t the windiest it could have been but there was certainly enough to hone our newly acquired nautical skills and enhance the more experienced members’ prowess. A good example of this was during the final crossing in which we got to fly the spinnaker. Many of the crew had never sailed under one, it was exhilarating. In addition to this throughout the voyage we saw dolphins, whales and even a flying fish or two. A definite highlight was the day we actually caught a rather large tuna – dinner that day, cooked by W02 (RQMS) Smith, was particularly amazing! During the journey we were lucky to get a bit of down time and a chance to explore a few of the islands. When we berthed overnight in ports Gnr Thompson and I even managed to get in a run prior to the days sailing. Before this voyage there was varying degrees of competence, one member having never even sailed before. Everyone certainly learned a lot in two weeks, ranging from basic knot tying, night sailing, understanding charts and a couple even learned invaluable skills of how to cook a meal from scratch! Teamwork was a crucial skill which cannot be overemphasized as living conditions were cramped and every person needed to be on their game when it came to personnel administration. Now a member of the Royal Artillery Yacht Club, I am excited at the prospects this challenging and exciting sport has to offer. Whether this be mastering the wind in a dinghy, sail training in the Solent or another two week expedition, the future is certainly bright.